After World War One, in Serbian literature, like throughout Europe, new tendencies and poetics are being strengthened. A new generation of writers is being published, opposing everything that had ever been deemed acceptable. They sought to change everything, they mixed and adapted the genres, experimented with language and the themes, introduced the poetics of coarse and ugly, they thundered, sang, drank. Belgrade is at the center of all events. War veterans, students from Paris, and those from the regions that belonged to Austria-Hungary come there. ”Moscow” Restaurant, at Terazije Square, is becoming the center of the tumultuous artistic life. It was not a uniform movement. In addition to the multitude of already disclosed European ”-isms”, Serbian and Yugoslav writers add their own: Sumatraism, Hypnism, Zenithism... 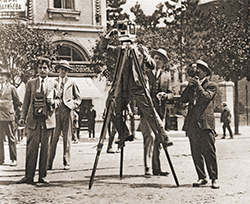 The critics of that time used the name between-the-wars modernism, although this period, in the opinion of many theoreticians, can creatively be classified as expressionism or surrealism. It was a great and splendid time in Serbian culture. In this climate, Miloš Crnjanski, Rastko Petrović and Rade Drainac come of age and are being published. ”We sing in free verse, which is a consequence of our content”, says Crnjanski. Unfortunately, many of them will later be targeted by the Communist regime. 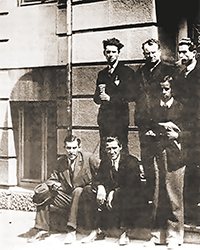 In 1954, Marko Ristić publishes the essay ”Three Dead Poets”, in which he declares Miloš Crnjanski and Rastko Petrović dead. Many of them will die in emigration, and their works will be marginalized for a long time (R. Petrović, S. Krakov, D. Vasić...). Only Crnjanski will live to return to Yugoslavia, and an army of readers in full auditoriums across Serbia will applaud him. ”The world was hungry for Crnjanski”, writes the poet Rajko Petrov Nogo, as the editor of one of these round tables. ”I have fulfilled my destiny”, Crnjanski used to say. One of the most intriguing and greatest personalities of Serbian literature. From his very appearance in the literary life, through exile days during communism, until the return to the country, then Yugoslavia, his charisma does not fade. With his books, he reached the status of a modern classic, but his life is no less important for the study of his poetics. This year is exactly one century since the publishing of the Lyrics of Ithaca (1919), his first milestone collection of poems. This collection, courageous, bold, challenging, bitter, in its deep thematic layer facing the war experiences, on the other hand expressed in a soft, elegiac language, leads the reader to a unique journey from horror to longing. Still, the famous Belgrade publisher, Cvijanović, three times decided not to print this collection of war-patriotic lyrics, as the author himself called it. The poet writes that Odyssey is the greatest poem of humanity and that the return from war is the saddest human feeling. The youth war experience, expressed in the Lyrics of Ithaca and The Explanation of Sumatra (1920), marked the literary opus of Crnjanski; this belief is at the same time one of the most important manifestos of the new generation and a new artistic orientation. In this poetry, defeatism and tenderness touch each other. It was only in 1959 that the writer himself would prepare, and ”Prosveta” will publish, the book Ithaca and Comments. In addition to the selected poems, it also contains prose texts, as comments. This prose is also an extraordinary poetic whole. Through all of his works, Crnjanski will mix features of genres, bringing the strength, character and immenseness of his talent into everything. His novel Diary about Čarnojević (1921) is an overthrow in Serbian literature. The novel in which the classic form is completely broken. In his later novels (Migrations, The Second Book of Migrations and Novel on London) he uses traditional elements in a unique manner. That is the essence of his poetics: to make tradition unusual, to make it eternally contemporary. 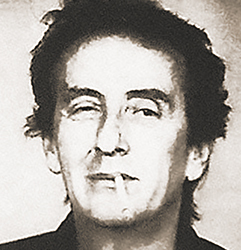 Miloš Crnjanski is a metaphor of Serbian culture in the 20th century. His opus and life are testimony to the most significant literary, poetic and historical changes in the past century. In novels, he writes the history of the modern era, from the time of Enlightenment to the outlines of the postmodern, from the migrations of the Serbs to the wandering of an individual in contemporary megalopolis. In poetry, he returns to the lyrical experience of Romanticism, transforming it into the avant-garde poetics of Sumatraism. Through his opus, world is measured and understood. In Hyperborea one can live, through Embahade study history and philosophy. With Prince Repnin and Nadia (A Novel about London), understand despair, respect, sacrifice and love. With the Isakovičs (The Migrations) share the deepest suffering, illusions and hopes of the nation. The Lyrics of Ithaca and Diary about Čarnojević are pure human heart. He understood, right after the end of the Great War, that a new and equally bloody Europe was appearing. He is referred to as an anarchist, nihilist, rightist... An unwilling soldier of the Austro-Hungarian Empire, a journalist, a polemic, a football fan, an irresistible charmer, a traveler, an exile, a man about whom many anecdotes have been recorded. 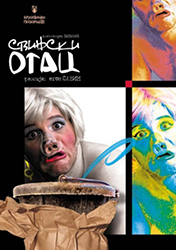 Crnjanski has been an eternally live and intricate Serbian story. For centuries. At the level of excess, subversive for all political systems. The orientation toward Crnjanski, as Milo Lompar says, has the meaning of orientation toward freedom in a pre-set system of values. That is how they grew up together, he and his Motherland; he and his talent. This could not be separated from each other, wrote Zoran Mišić about Rastko Petrović. Seventeen-year-old Rastko Petrović was one of those who retreated through Albania during the Great War in. Like others, despite the suffering and horror, he was driven and fueled by the heart of togetherness, the heart of the Motherland. On that road he made friends with young Milutin Bojić. They say that the two of them, during breaks, cheerfully hung out together and spoke the verses aloud. Along with those thousands of sufferers, Rastko would feel deep attachment to human being, for their suffering and fate. Those signs of seen and experienced will never disappear in him. His words are tempest, cosmic chaos and at the same time the most valuable star dust; everything is constantly in a whirlpool, in motion, exploration, unrest. Love for his country, people, motherland, deep passion for history, as well as a desire for new knowledge, for other cultures, travels, Rastko brought from his parents’ house. 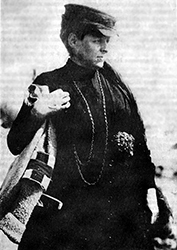 The older sister, famous painter Nadežda Petrović, was his role model. After the war, Rastko continued his education in Paris, and socialized with well-known French modern artists (moving in the same circle with Picasso, Breton, Éluard...). He, says Svetlana Velmar Janković, brought that fire of the new from Paris, the rest collected his fervor. ,. He is interested in everything: the art and literature of the Middle Ages (fascinated by frescoes from Serbian monasteries), Renaissance, ethnography, the history of old Slavs, painting, the film as a challenge of the modern age. Unrestrained, curious, intuitive, abundant in talents, ecstatic, with a deep sense of pagan and atavistic, filled with visions, eager to feel everything, to experience, Rastko writes the most marvelous pages of Serbian literature. He does not express the difficult personal experiences in anger and contempt for the traditional expression, like most modernists, but in a magnificent dimension of Slavic mythology, as well as biblical and apocryphal motifs. ”In the generation of young people he was the most extravagant”, says Professor Jovan Deretić. His novelA Burlesque of Lord Perun: God of Thunder (1920) and the collection of poems Revelations (1921), provoke great controversy. 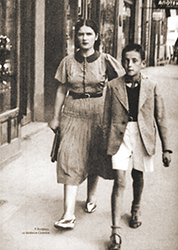 Isidora Sekulić and Miloš Crnjanski support him and praise him. ”Rastko’s novel is not only a prominent example of avant-garde mixing of genres, but is actually a parody of all existing genres”, notes Professor Predrag Petrović. 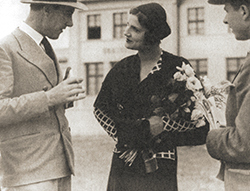 In the travelogue Africa (1930) and the short novel People Speak (1931), a more subdued sensibility is revealed. Africa is not only a poetic-lyrical picture of exotic lands and nations, but a documentary article. Rastko also shoots several short films there. The book People Speak, described both as a short lyrical prose and as a novel, is a profound metaphysical search for meaning. By recording the simple sentences and actions of people on an island, the writer uses as a leitmotiv the thought that life is ”a truly unique thing”. The Sixth Day, written for a long time and published posthumously, monumental in its vision, told in the third person, with a distance, is one of the most tragic and suggestive images of the Serbian suffering in World War One. World War Two finds Rastko Petrović in the diplomatic service, in America. After the war and regime change in Yugoslavia, he remained to live in Washington. He also died there, in 1949, exactly seventy years ago. His remains were transferred to Belgrade, to a family tomb, in 1986. ”My hunger is endless and my hands are eternally empty.” Contrary to the poet’s rebellious, subversive, ecstatic quest and the feeling of the new, it is precisely this verse, with its austerity and simplicity, that depicts his life. In this seemingly simple picture of eternal and futile longing for infinity, everything that the poet was in between can be placed. All bursting verses filled with noise, spook, creaks, dissonant and wild. Rade Drainac (Radojko Jovanović), like most Serbian poets of his generation, as a high school student retreated across Albania with the Serbian army, and then continued his education in France. With restless spirit, in 1918 he interrupted his education and returned to Belgrade. Like most artists returnees from the war, he spent most of the time in ”Moscow” restaurant. Influenced by the spirit of the new era, in 1922, he published the magazine the Hypnos in which he proclaims a new style: Hypnism. Give us some fear – some outer space – horror – a little bit of your blood, to see at least one thread of a naked soul... Give us ethereality: in which the Universe is. He had the need to feverishly explore outside the boundaries of self, homeland or identity. Born in the village, exactly one hundred and twenty years ago, on the one hand he has an inseparable attachment to the primal, restlessness, the sense of archetypal freedom, and yet he becomes a poet of the city, noise, the chaos of the coming world. Ironic, daring, anarchic. In his verses everything is constantly on the move, in action. Raw life, naked reality, smells of taverns, docks, railway cars, noise of big cities. ”All these different elements, modernity and primitivism, cosmism and exoticism, boasting and sentimentality, merge into a unique and rich lyrical fabric of this poet...” writes Prof. Jovan Deretić. When Rade Drainac died, they say, in the field ”place of residence” it was written: without the street name and apartment number. 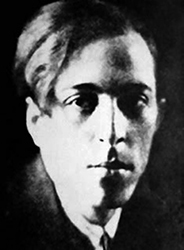 This relative of Yesenin and Apollinaire, as he saw himself, who wrote the verse Ah, I was very sick, and starved even more, now finally has a secure address in Serbian literature and our memory. 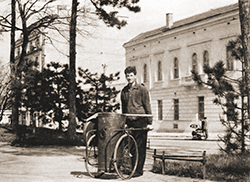 Life of Aleksandar Popović is marked by dramas of the era. Born exactly ninety years ago (1929) in a wealthy merchant family in Ub, after World War II, intoxicated with the idea of ​​equality he became a communist. Then he was detained as political prisoner on the Naked Island. When he returned from prison, he worked for all kinds of manual and physical jobs to feed his family (he married very young). He appeared in Serbian literature at the end of 1950s. They say it is almost impossible to accurately determine the number of his works for children and adults (theater and radio plays, TV scripts, books, newspaper articles). The Naked Island period, and the period after, which he spent among ordinary people, will mark him as a man and as a playwright. Theater is for him the center and the meaning of life. He believes that culture is the only defense against the monster of history. He touched the top and bottom. His plays were performed around the world, he received many awards, but at the same time he was under the constant surveillance of the regime. He entered the theater life with his play Ljubinko and Desanka (1965). Since then, comedies and farces came one after the other. His appearance is considered to be the key point of the ”subversion and revival” on the Serbian and Yugoslav theater scene. The structure of his plays is incoherent, dynamic, the heroes are authentic people of socialism, in no way ideal. The milieu of suburbs, unrestrained characters, vivid language, unexpected shifts, freshness and astonishing sharpness of expression. He showed the courage to speak outside the norms through art, in a politically controlled system. The heroes he created, the lines they say, are timeless and prophetic. The previous theatrical expression, in which the critical spirit draws from antiquity and medieval myths, is now imbued with the spirit of the local and the recognizable. Hey plays were banned and removed from the repertoire (The Spawning of Carp 1984 caused particularly turbulent reactions), but this did not stop him from continuing to write passionately. He died in 1996 in Belgrade, where he spent most of his life. ”Tell me, did I make up all this?” This simple question, from Early Sorrows, truly haunts both the writer and the reader. Where is the boundary between memory and reality and does it exist for a writer at all? Doesn’t the writer live irreversibly enchanted, trapped between the real and imagined? ”If it hasn’t been for my war experience, in my early childhood, I would never become a writer.” This sentence determines the depth of Kiš’ creative attachment to suffering. Subdued and inexpressible awareness of death, its constant presence in the air, in smells, in colors, in forms, once experienced, always returns. Or, better, it never leaves the man. The words that must be said, which must find the way of being outed, appear as images-visions. The initial thought hovers over them: did I make up all this? This suggestive sentence certainly does not mean completely bringing into question the things about which one writes; it just varies them. The experience of war is deep and forever present in everyone who lived through it, and the sensitive artistic soul is searching for a way to master this burden. Family trilogy (Early Sorrows, Garden, Ashes and Hourglass), which the writer himself calls the Family Circus, carries dense reminiscence of deep and suppressed memories. About searching for ways to write out the traumatic years of war childhood and hard family fates without being pathetic, Kiš says: ”In short, in that mixture I had to measure salt, pepper and sugar. I tried to destroy the lyrical spell by placing in the garden big pieces of metal scrap, such as that sewing machine. Or that long list of nouns from the lexicon, which is to destroy the smell of herbs in one part of the book.” Throughout this search for himself in this trilogy, the boy Andreas Sam is obsessed with the father figure who disappears in a Nazi camp (the parallels between Andreas Sam and the poet’s biography is unavoidable). Lyrical and documentary intertwine and crisscross through Kiš’ entire opus. The family trilogy, as the author says, is one story told from different angles. Kiš’ prose is deeply metaphysical, deeply intuitive. The obsession with transience and disappearance brings constant anguish. In the story of the Encyclopedia of the Dead, through the main character, as the author would later say, the writer forebodes (actually invokes) illness and death. These things should not be taken lightly, he would say later, in illness. 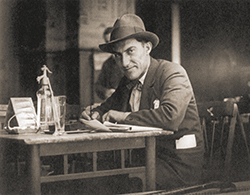 Danilo Kiš is another Serbian writer whose life and work were marked by controversy. 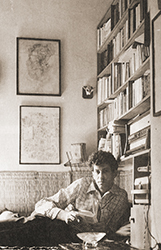 The book The Tomb of Boris Davidovich (1976) provoked turbulent controversies, after which Kish leaves for Paris, in a kind of voluntary exile. Danilo Kiš, a writer of great momentum and magic, an excellent stylist, is one of the key Serbian and European writers of the second half of the 20th century. Demystifying the world through metaphysical quest, this unusual disheveled master, left-oriented, expresses doubts in God already as a boy, after his mother’s disease and death. Ali But, before the awareness of imminent end, he explicitly asks in his will to be buried in Belgrade, according to the Orthodox ritual, without speeches. Miloš Crnjanski (1893–1997). Born in Csongrád, he died in Belgrade. 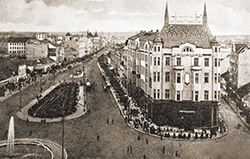 He published his first poem in magazine Golub, in 1908. Between the two world wars he worked as a professor, as a journalist, a diplomat. He spoke several languages, often travelled and moved around. He wrote for ”Vreme”, ”Politika”, ”Naša krila”, ”Jadranska straža”... He started the magazine ”Ideje”(1934). When World War II broke out, he found himself at a diplomatic mission in Italy. During the war he lived in London, where he remained afterwards. He had difficult life, barely surviving; for some time he works in a shoemaker’s shop and as a book carrier, and his wife Vida makes dolls. Although the opponent of communism, he returned to Yugoslavia in 1965. His most important works are: ”Mask” (1918), ”Lyrics of Ithaca” (1919), ”Stories about the Male” (1920), ”Diary about Čarnojević” (1921), ”Migrations” (1929), ”Love in Tuscany” (1930), ”The Book of Germany” (1931), ”Residence” (1958), ”Lament over Belgrade” (1962), ”The Second Book of the Migrations” (1962), ”The Hyperborean” (1966), ”Nikola Tesla” (1967), ”A Novel about London” (1971), ”Stražilovo” (1973). ”The Book of Michelangelo” (1981) and ”Embahade” (1983) were published posthumously. 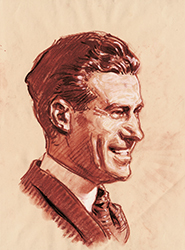 Rastko Petrović (1898–1949). Poet, storyteller, novelist, essayist, travel writer, painter, art and literary critic. Books published in his lifetime: ”The Kosovo Sonnets” (Corfu, 1917), ”A Burlesque of Lord Perun: God of Thunder” (1921), ”Revelation” (1922), ”With Forces Immeasurable” (1927), ”Africa” (1930) ”People Speak” (1931), ”The Sixth Days” (1961). He also published art criticisms in magazines. He influenced the development of Serbian modern art. Rade Drainac / Radojko Jovanović (1899–1943). He was born in Trbunje, in Toplice, and died in Belgrade in the war year of 1943. Fascinated by Paris, he was there again in 1926. He lives a bohemian life, but returns to Belgrade due to illness. In addition to poetry, he also wrote feuilletons, travel books, art and literary criticism, polemics and pamphlets. Journalism was his main source of income and the opportunity to travel. The most important books: ”The Blue Laugh” (1920), ”Aphrodite’s Garden” (1921), ”The Train Departs” (1923), ”The Heart on the Market” (1929), ”Bandit or Poet” (1928), ”Banquet” (1930), ”The Spirit of the Earth” (1940). Danilo Kiš (1935–1989). Born in Subotica, died in Paris, buried in Belgrade. A novelist, storyteller, essayist, playwright, translator from French, Russian and Hungarian. The most important works: ”Mansard” (1962), ”Psalm 44” (1962), ”Garden, Ashes” (1965), ”Night and Fog” (1968), ”Early Sorrows” (1969), ”Hourglass” (1972), ”A Tomb for Boris Davidovich” (1976), ”Anatomy Lesson” (1978), ”Encyclopedia of the Dead” (1983). Posthumously: ”Bitter Deposit of Experience” (1990), ”Lute and Scars” (1994), ”Warehouse” (1995).